I remember clearly when Alaska became a state in 1959. It had been an issue that had been discussed in the news for several years before it actually happened. And it had been one of the issues I debated in school. I remember that I took the opposing view, and one of my arguments against Alaska becoming a state was that it would mean Texas would then be only the second smallest state. Dumb argument, but what do you expect from a 14-year-old native Texan. And as I recall that argument was met by another 14-year-old who said: Alaska wouldn’t be bigger if all the snow and ice were melted away. 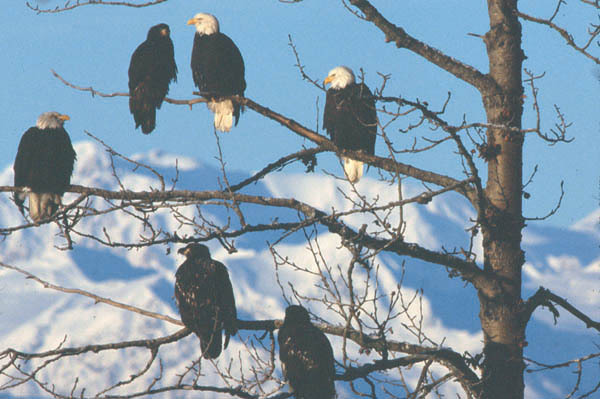 I thought about those school days as I drove from Haines Junction, Yukon, to Haines, Alaska, where I would catch a Ferry that would take me and my vehicle on the Inland Passage to Vancouver, Washington. It was yet again another scenic drive, one with quite a few lake overlooks, an abundance of ground squirrels flittering here and there, trees full of bald eagles and roadsides full of small blue flowers. In 1927, Benny Benson, a 13-year old Aleut boy, referenced the Forget-me not with his winning flag design for the territory. He said the blue field represented the sky and the blue of the Forget-me-not flower. 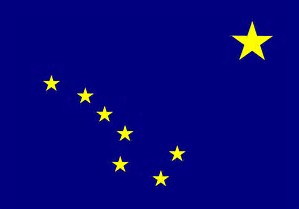 The North Star is for the future state of Alaska, and the Dipper is for the Great Bear – symbolizing strength, he added. 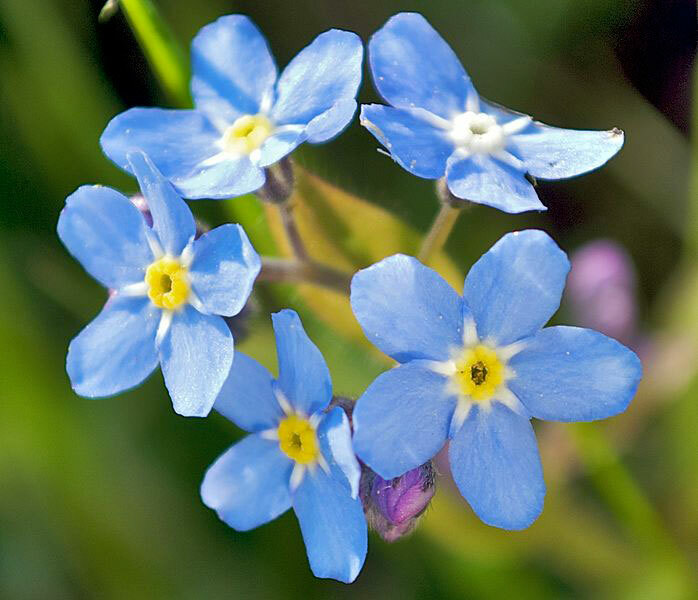 When Alaska entered the Union as the 49th state, Benny flag was retained as the state flag – and the Forget-me-not was adopted as the official state flower. 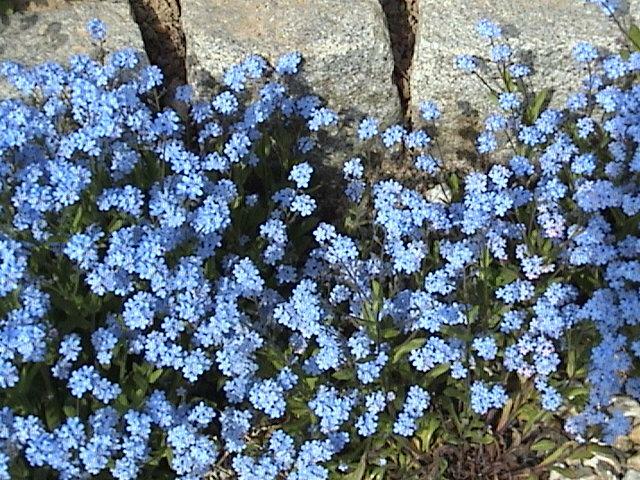 And it seemed that everywhere I looked on the drive this day, I saw Forget-me-nots. And I never will forget them. Bean Pat: Forest Garden http://tinyurl.com/hk8rssn Flowers and Words, lovely.